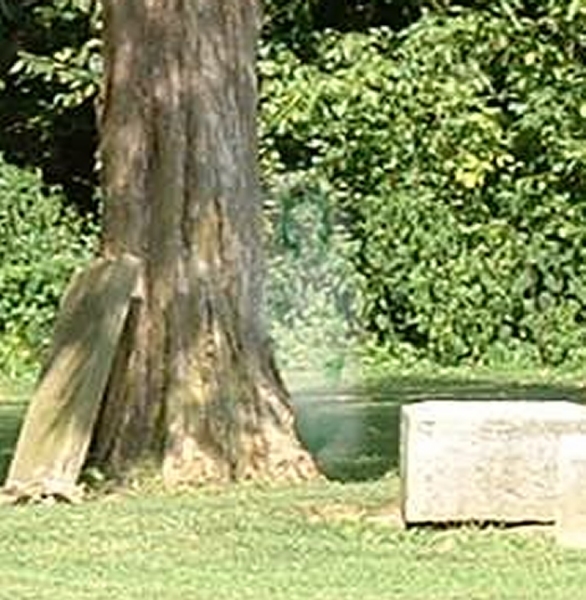 Uploader comment: Taken during the day - the night before we spent a few hours in this old cemetery in Ohio, and caught a lot of orbs and evp's. I went back the next day to take some day time shots and got this mist - to me it looks like a little girl. The face was probably formed by the trees in the background. Is this thing reall?? Wooooowww nice!!! The face may be formed by trees, but what about the mist? That's not formed by trees! If it's real I don't think it was formed by the trees. Interesting daytime shot though. I once found this picture taken at a church in my town called ST Barnabas. In this picture I was able to make out 4 ghostly figure's. If that's not enough I went down to the church to see pastor Brian with my mother and showed the man. He was happy to tell us about these figure's..passed on family member's. WOW excellent pic!!! She was posing for you lol. Kudos, excellent pic. Mist/form (women? )is consistant throughout the background color change. I just wonder why you see a dead girl? was there a girl buried there? I see a small mist so.......dead midget? I think there is a definite blur there but if you read most of these pics they have dead kids cause its sad, tragic, and romanticized. I'm not saying its not real, I'm just saying a haze or blur can be more likely the minds natural tendency to find pattern. If this was a pic next to a tree in a zoo i wouldn't think it a dead girl but its in a cemetery so we leap that way.